Apartment in Palermo Nuevo, Buenos Aires - Acqua ! 860 square feet apartment in the heart of Palermo Nuevo, close to Malba Museum, shops, restaurants and parks in a favoured five star building. 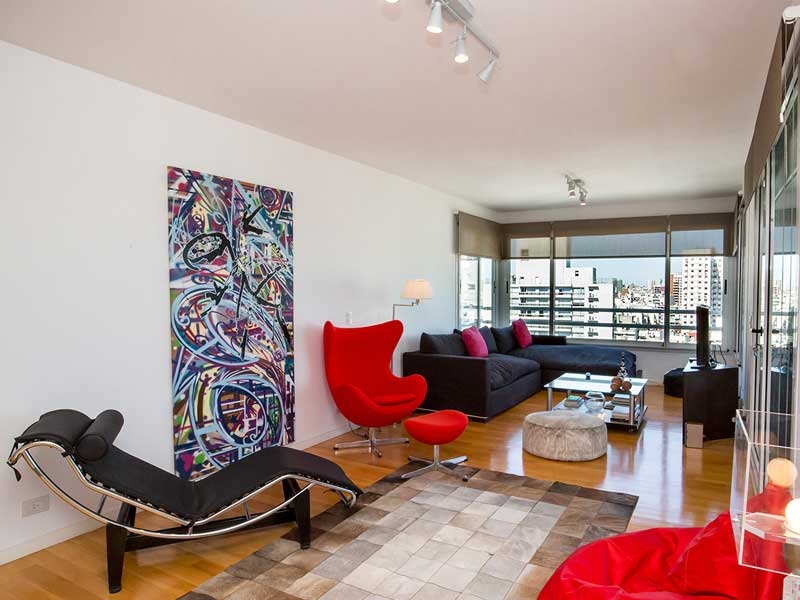 This two bedroom apartment for rent in Buenos Aires is located in this newly built and high end luxury block with great views over the city, both day and night. 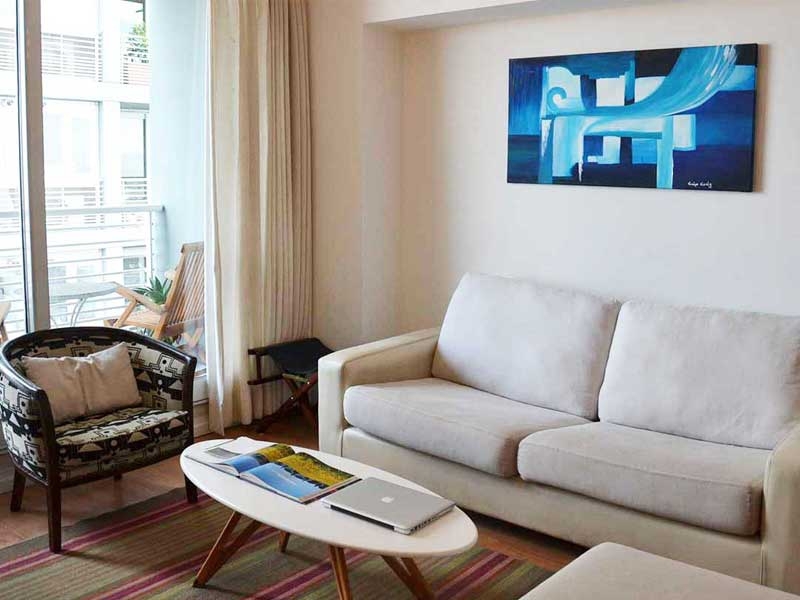 The living area features a 32’’ screen TV, comfortable seating, dining area and access to the balcony. The large glazed windows make this a light filled room from dawn to dusk. The kitchen comes fully equipped with everything you might need. The master bedroom has a queen size bed and en-suite bathroom. The second bedroom has a single bed and an optional second single roll out bed. The building benefits from 24 hour security, impressive pool area and courtyard, a very well equipped gym, sauna and even a tennis court.